This skillet is made to be placed alongside pasta, preferably quinoa or whole wheat pasta. 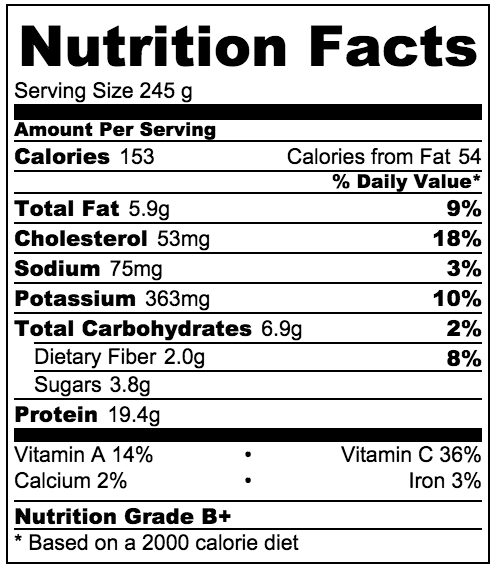 The nutritional calculation does not include any carbohydrates. Makes 5, one cup servings. Add ground turkey, and brown. Drain, remove, and set aside in a separate dish. In the same pan, add the roasted tomatoes and zucchini. Spread vegetables in one layer. Cook until browned. Add in turkey mixture, add a squeeze of lemon juice (optional). Serve over pasta. I was concerned that this would be fairly bland, because there wasn’t much of a sauce. 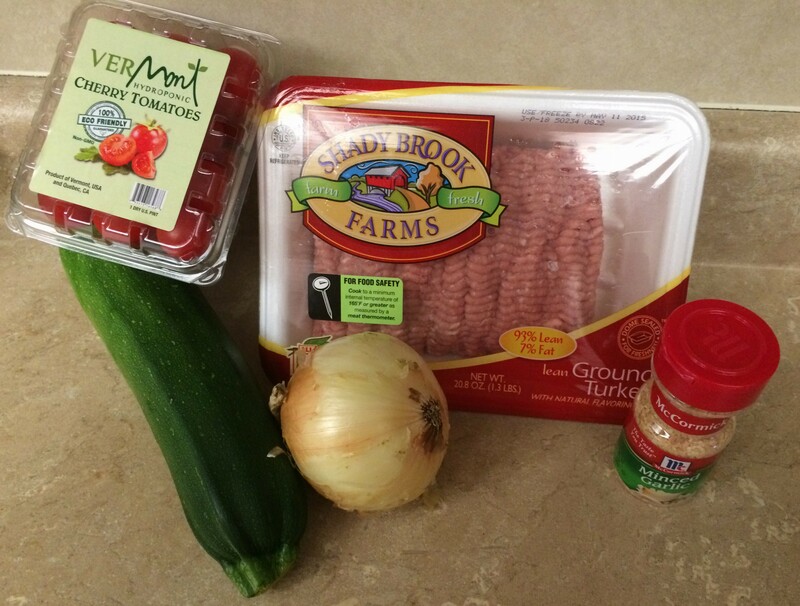 Lean ground turkey doesn’t have much fat for flavor, especially because it is to be drained before combining with the rest of the veggies. Surprisingly, it tasted fairly good! If you like spice, I would recommend adding some red pepper flakes, it would provide an awesome kick! This is best served over quinoa, because the small ground turkey crumbles mix best with the small quinoa pasta.